Did you know workers new to a job are three times more likely to be injured during the first month on the job than more experienced workers? 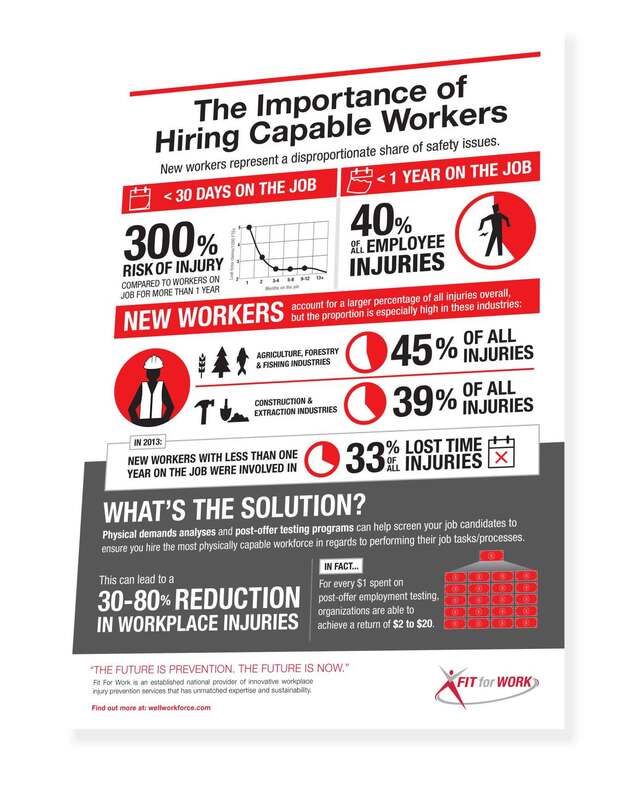 The best approach to reduce these injuries is to implement Physical Demands Analyses and post-offer testing programs that can help screen your job candidates to ensure you hire the most physically capable workforce in regards to performing their job tasks/processes. Download our printable infographic to learn more. Don't miss our free webinar on the Physical Demands Analysis & post-offer testing happening on Thursday, April 6th!